The devil is always in the details. This is why it is important that all correspondence to clients, vendors and suppliers is clear at all times. Formats and suggestions on how to communicate with external parties are usually readily available, but interoffice memo formats may not be as popular. 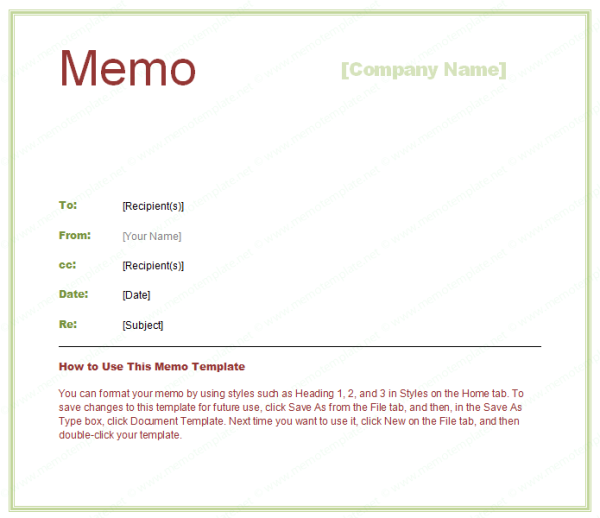 An interoffice memo format is very useful in keeping track of communications. A format that easily identifies who the sender and the intended recipients are allows for fewer misunderstandings and easier follow-through in actionable items. By keeping all interoffice memos on the same format, it also serves as a visual reminder of what kind of correspondence it is and the urgency of the matter.